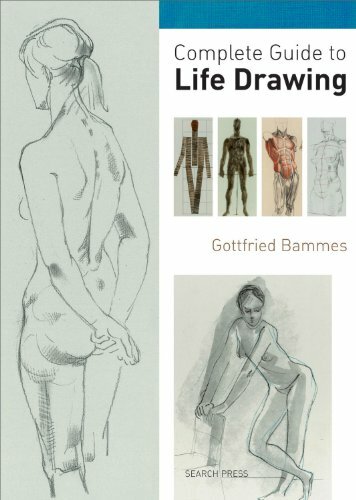 Complete Guide to Life Drawing is an accessible guide to figure drawing. It was authored by Gottfried Bammes who had also published many other books, in German. This is the English translated edition of the German Menschen zeichnen: Grundlagen zum Aktzeichnen. It's a huge book and has 312 pages. The book adopts a structured approach, starting with the study of proportion, body at rest and motion, followed by a more detailed look at the different parts of the body. The many wonderful illustrated examples are supplemented by descriptive and insightful commentary. The pictures are from Gottfried Bammes and other Old Masters. There are also several helpful exercises to follow along. While it's not strictly an anatomy reference book, there are still a lot of detailed drawings of the muscles, all properly labelled. It's a great book for beginners into figure drawing. Do you think that this book is better than loomis figure drawing book? Or its better have both? I prefer Loomis' figure drawing book.